What other sorts of ‘literature review’ are there? • Do you agree with this statement by a PhD student? WHAT SHOULD BE IN IT (1)? • Which of the following should be in the lit review? less successfully than they are able to produce it? WHAT SHOULD BE IN IT (2)? results. I.e. it must all be directly relevant. to the precise study being done. • Does it look as if the right topics are being covered? Or should topics be added or deleted? ‘partial’, given by the teacher writing on their scripts. • Does it seem to cover the right areas? 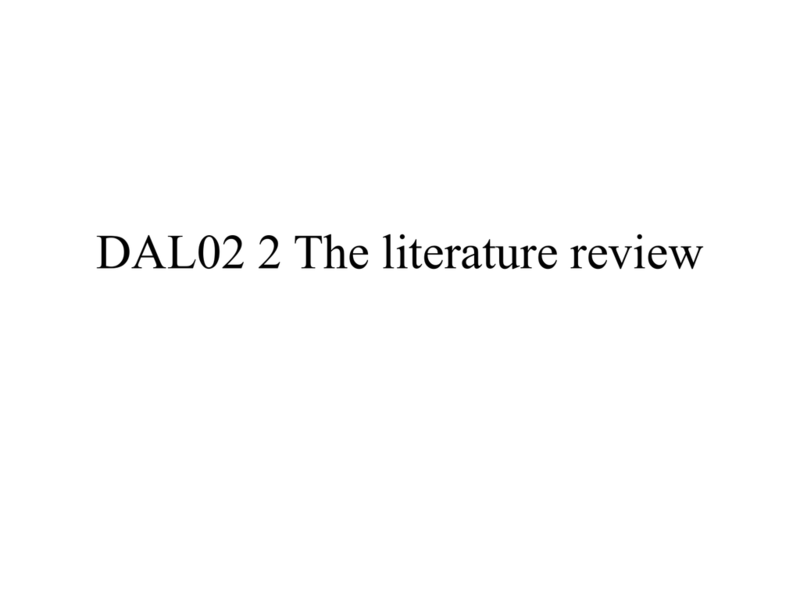 • Is this the best way of starting the lit review chapter? this dissertation will be highlighted. • Give space evenly to each of a set of points? • Is there a problem with that? • How might the imbalance have arisen? • When is it good not to be ‘complete’ or ‘balanced’? HOW SHOULD IT BE ORGANISED (1)? 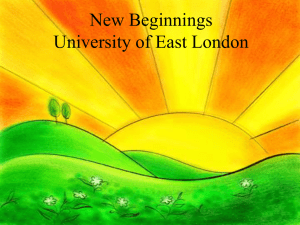 organising a literature review emerge as possible? HOW SHOULD IT BE ORGANISED (2)? • Some of the section headings are not satisfactory. share a common overall theme. 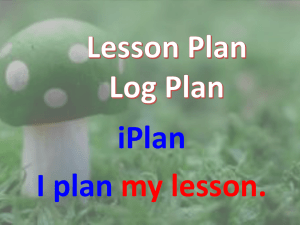 2.3 What is a L2 learner grammatical error? • Are the sections suited to the topic? • Is the numbering suitable? • Is the last paragraph appropriate? • How many source references needed? connected with the topics that need to be covered. before the thesis is submitted). information to guess from with any success. comprehensible input in order to acquire language. Common mistakes to spot: Who is the source? • Any comment on the references here? approach to its own role’ (2008:161). 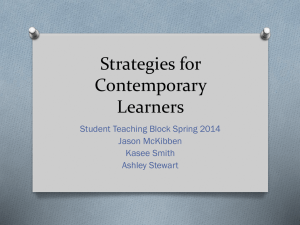 important to teach students such strategies. • And what may well be missing here? which could be of any practical interest to language teachers"
(c) a report of empirical research. sources say about vocabulary learning and group work. you think? Which are not clear? for writing revision are effective. goals only if others in the group reach theirs. included in group work, some individuals may contribute little effort. collaborative learning group, they benefit from clarifying their own ideas. the best (Johnson et al. 1990). be able use a word accurately. forms (Pica et al. 1989). the social environment though interaction (Vygotsky 1978). repeat or rephrase the question (Rowe 1974). observed directly when speakers do problem solving tasks. other variables (Kojic-Sabo and Lightbown 1999). What to mention about each study? previous empirical (i.e. data gathering) studies. study. But what should be in those summaries? report what they found about planning and reviewing. 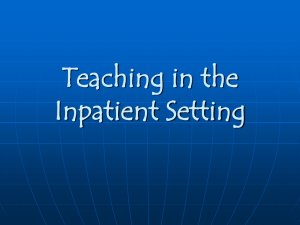 • The basic information given about each study varies. each study, in addition to what the study found? 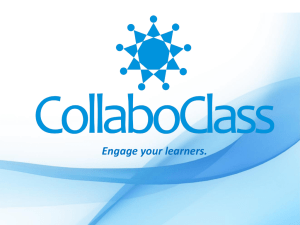 sources that prevent FL learners from performing orally in front of their peers……. sources of foreign language anxiety…. • It provided a synthesis, stating the consensus. • But… what more could it do to be really ‘critical’? • How might it have arisen? • How can one solve it? modified and offer only limited facilities, usually translations. 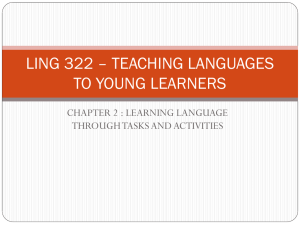 than in the L1 task...." (p265). context to be of any value to language learners. not give enough contextual meaning. • Do the following make sense? • Can they be reworded to make better sense? requiring speed like a test situation. of poems, dictation, writing skills, grammar and translation. There is no testing of speaking and listening skills. • What would be a better connecter? texts is the assigned goals or purposes for reading the texts. • Are the reasons good reasons? primary research, but rather it reports on other findings. • What needs to be said next at the end of this? 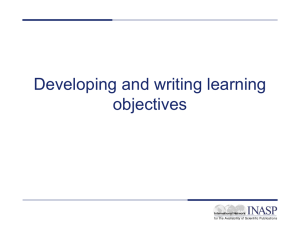 development’ and evaluation for ‘curriculum development’. 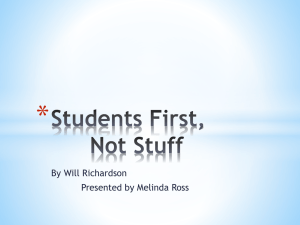 they believe is easier for students to handle (Ferris 1995b; Hendricson 1978). much simpler for students to understand. review of evaluation studies regarded as relevant. • Which should be signposted as most relevant? Why? the first and second intermediate grades in Hail city in KSA…. university level learners of English in Taiwan. their relevance in this respect better? achievement at the college level (Brown 1978)…. the strongest negative predictor of learning outcome. …. associations have better performance than those who don’t…. 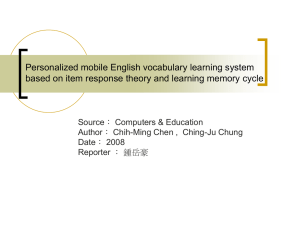 English showed differences in use of learning strategies…. those used in receptive ones (Ellis and He 1999)…. key word ‘Lincoln’ to help remember it (Schmitt and McCarthy 1997)…. but is the reasoning clear in each case? there is not any constructive result from teacher error correction. will be using and why? related indirectly to such a concept. • What more does the researcher need to say? evaluated by an internal evaluation. preference does not distinguish between the two. the interests of their research? variables in the present study. be about something which it is not actually about. of what is said lead to his/her own thesis topic? used by Saudi university students. encourages rote learning, and so forth. using a parallel corpus could be a solution (St John 2001). • Relevant…. but why is this a No No in the lit review?! but our study does not confirm this finding. many countries’ efforts towards literacy development. 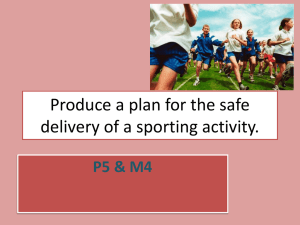 Produce a plan for the safe delivery of a sporting activity.